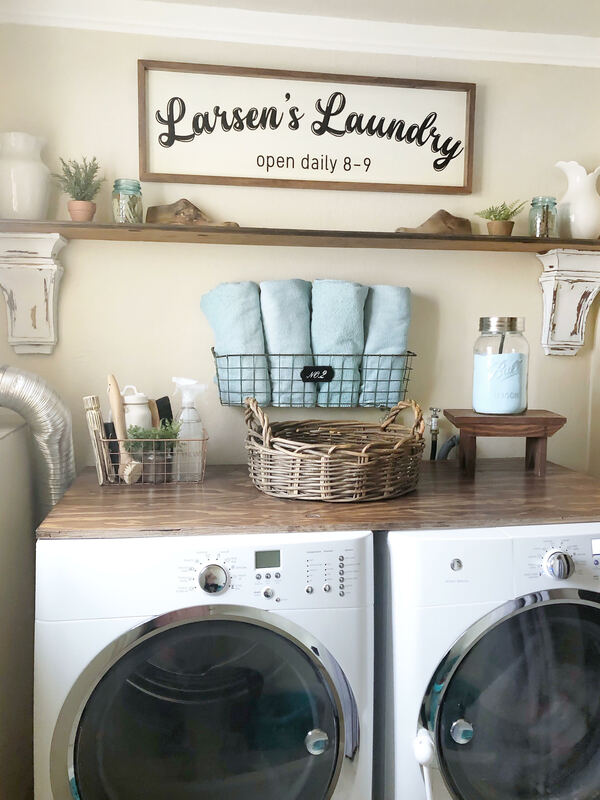 Hello friends, today I’m going to talk about my laundry room and things you can use and do to make your laundry room not just pretty, but functional as well. Even if your laundry room is in a garage or unfinished room or basement, there are lots of things you can do to make it more attractive and function as well. Tip #1- Protecting your damp spaces. My laundry room is actually a bathroom and laundry combo. We have a full shower, sink, toilet and then our washer and dryer, all in the same space. Therefore it can stay pretty damp and or humid, unless the washer and shower aren’t running. 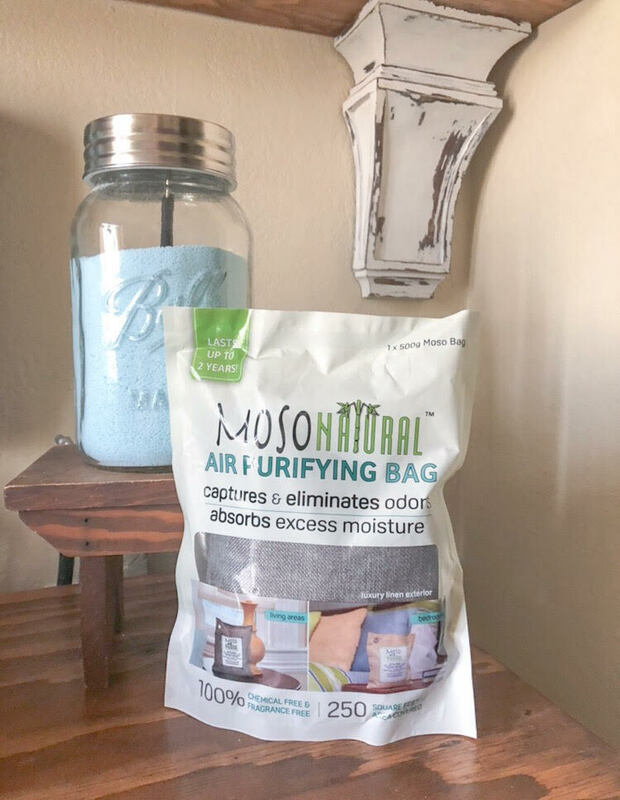 I came across a great mold killer you can find in this article here and it seemed like the best natural option for my home and fam. It gets pretty damp in the laundry room especially if the washer is running and using hot water, and then someone is showering or has showered as well. Then we get plenty of steam in the room. I love my mold killer and its not an eye sore too “BONUS” You can see my mold killer in the images down below. Tip #2- Collect all your laundry items and place them in cute jars and decorative baskets. For example I like to put my “shout” spray in a cute spray bottle, my dryer sheets in a cute ceramic jar with a lid, etc. Your space looks less cluttered if you can gather your items and place them all in one unified basket. Tip #3- If you have an existing space for your laundry baskets “great!” otherwise, consider building from floor to ceiling cubby’s to hold your family members dirty/clean laundry. Or to hold your whites, darks, and lights. This again, will help your space not only look better, but be functional and organized.. keeping that laundry pile off the floor. Tip #4- Have a separate cute maybe woven basket to hold all those pesky lost socks… hopefully till the others pop up and you can pare them and put them away. Tip #5- Like I mentioned having jars and baskets to hold spray and dryer balls, and dryer sheets. 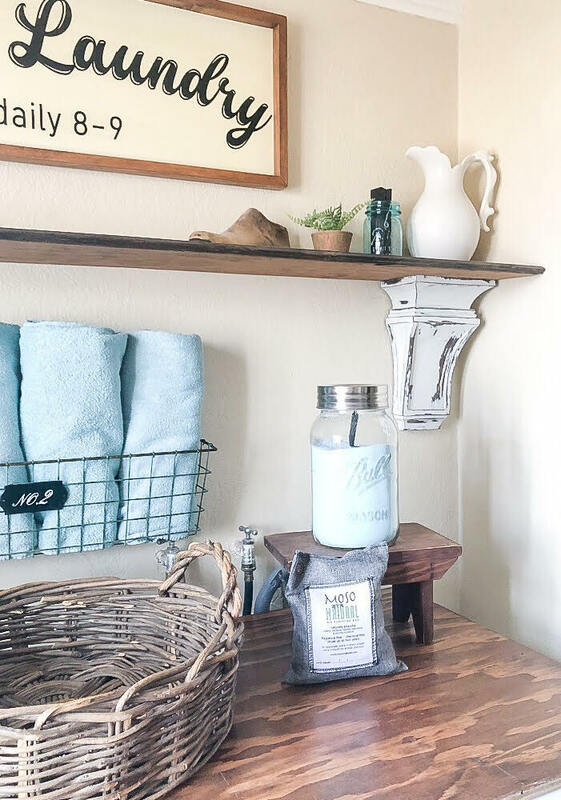 Think about transferring your laundry soap to cute laundry containers. 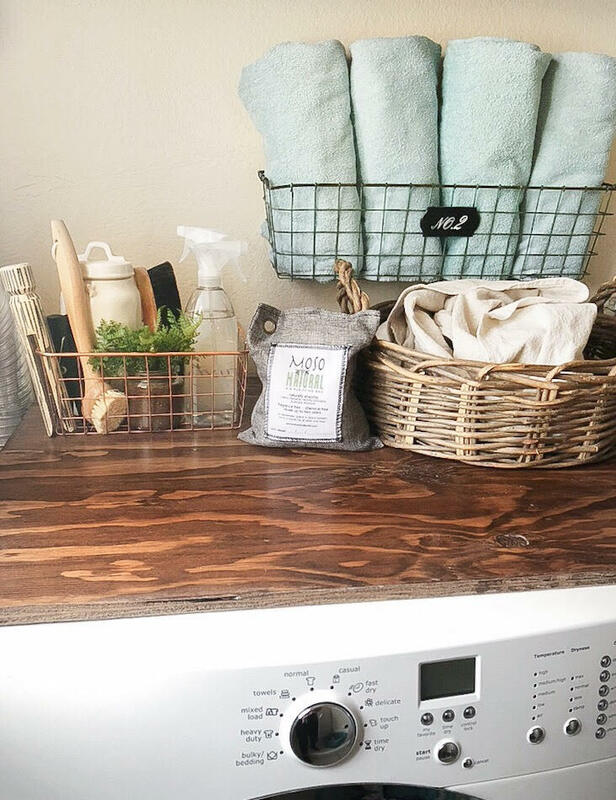 Tip #6- If you have a counter to fold your laundry on then I suggest take a few hours and or pick a laundry day and once your dry load is complete fold it right away on your counter and place in your baskets or have family members put them away right away. I love to use large drink dispenser for my liquid laundry soap and I keep a small cup or tray under neath the spout catch drips. 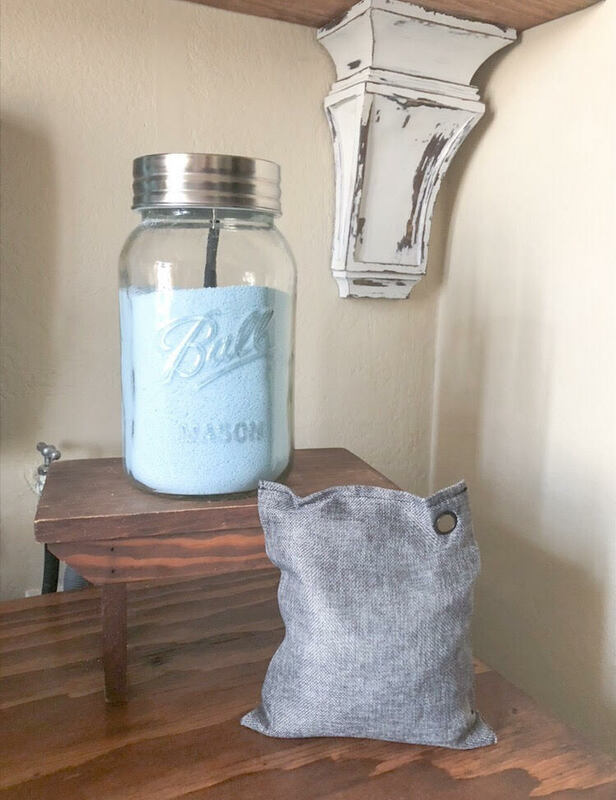 I also have used a very large ball jar with a cute lid to hold my dry laundry detergent. This tip not only looks cute getting rid of those laundry plastic busy bottles or cardboard boxes, but again it functions too. If you don’t have a counter for folding, how about “DIY one! ?” like my husband and I did. My husband and I had some wood cut to size at our local Home Depot and we sanded the edges, stained, and sealed it to place on top of our washer and dryer giving us a great “functional” laundry folding counter. Thank you for sharing all these practical yet decorative also tips. I certainly need help with my laundry room. You are amazing….and I love your style.